Archives & Special Collections hold original historical material, available to researchers by appointment. The Music Collection, located in the Reed Library mezzanine, holds books, scores, and vinyl records for students, faculty, and researchers in the music fields. 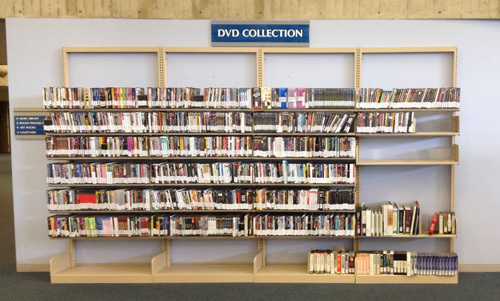 DVDs are located on the Library's first floor; CDs are available by request from the Circulation Desk. The New Books shelves, near the Circulation Desk, showcase recent additions to the Library's collection. The DVD collection, across from the New Books shelves, includes over 1000 DVDs for research and entertainment. The Microforms Room, on the first floor of Reed Library, houses microfilm and microfiche of newspapers, ERIC documents, archival material, and other periodicals and monographs, as well as machines to read and reproduce these materials. 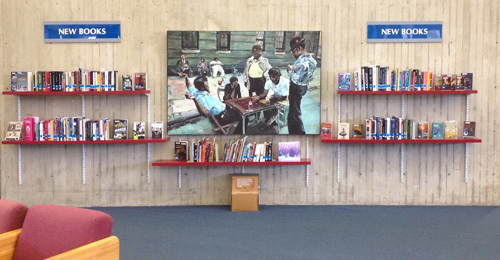 The Juvenile Collection, on the second floor of the Carnahan-Jackson Center, includes books for readers from Pre-K to 12th grade, and resources for P-12 educators. The Safezone Collection includes fiction, nonfiction, and DVDs of interest to LGBT+ patrons. The Literacy Collection, near the Reference Desk, features books from the Oxford Bookworms Library, with classic and original literature rewritten for English language learners. With the exception of Archives & Special Collections, all of the Library's collections are available at any time the Library is open. If you have any questions regarding these or other collections, please ask a librarian. The Library's newest additions to our circulating collection are displayed on the Library's first floor, opposite the Circulation Desk and across from the Reference Desk. New books have the same loan periods as all other circulating materials. Reed Library offers a collection of nearly 1000 DVDs for educational and leisure viewing. The DVD Collection is located across from the New Books shelves, on the Library's first floor near the computers. DVDs are loaned for one week. The overdue fine is $1 per day. DVDs are arranged by the accession number shown on the spine of the case, and in the call number in the catalog. These represent the order in which the Library received the DVDs, and do not necessarily represent new releases. 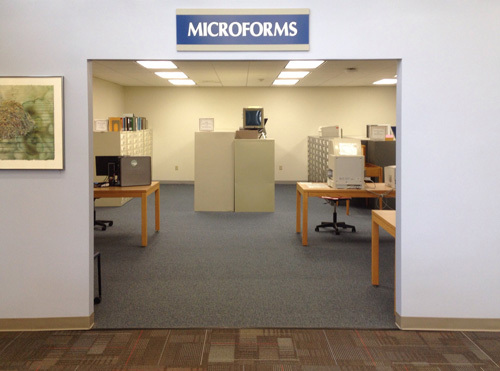 For more information on the Library's microform holdings, please see our microform guide. For more information on the Juvenile Collection, please see the Juvenile Collection page. For more information on the Safezone Collection, please see the Safezone Collection guide. The Literacy Collection, of particular interest to English language learners, consists of literary works grouped in different stages based on word count and difficulty level. Titles include classic fiction including The Secret Garden, Far From the Madding Crowd, and The Joy Luck Club; biographies of figures including Shakespeare and Gandhi; nonfiction bestsellers such as Eat, Pray, Love; and original fiction and nonfiction. The collection is shelved between the Oversized Reference Materials and the Very Short Introduction Collection. The stages range from Starter to Stage 6.